BlackBerry, a former smartphone-maker, ditched its hardware business last year in favour of its growing software business. BlackBerry's automotive division has created an updated software platform to help keep the connected and autonomous vehicles of the future secure. The QNX hypervisor 2.0 allows multiple operating systems to run at the same time on one hardware platform and allows breaches in one part to be isolated without impacting the rest of the car's software. 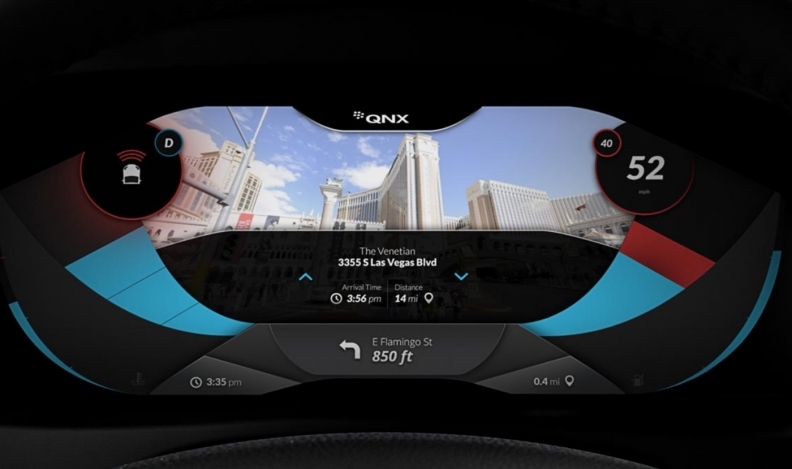 BlackBerry QNX head John Wall said multiple automakers are using the product already and provided feedback to help create the product. BlackBerry says California-based Qualcomm Technologies Inc. has adopted the product as part of certain digital cockpit solutions. For example, a virtual cockpit uses a single System on a Chip (SoC) to run both an infotainment system and the car's digital instrument cluster, which includes the speedometer, odometer and gas tank indicator. The digital instrument cluster connects with critical driving systems, and therefore needs to be safety certified and built in such a way that security is ironclad, BlackBerry said in a statement. With QNX Hypervisor 2.0, each of these two systems is isolated and kept safe, so that if the infotainment system were to crash, it would not take the critical driving systems down with it. Nakul Duggal, vice president of product management and automotive at Qualcomm said the ability to run concurrent operating systems will help automakers reduce hardware complexity and cost in their vehicles. BlackBerry's shares have been on the rise following research reports suggesting the company's shares could see big gains over the next several years, and one report suggesting the company could be a target for an acquisition. The company's shares on the Toronto Stock Exchange rose nearly one per cent in early trading to $15.14.